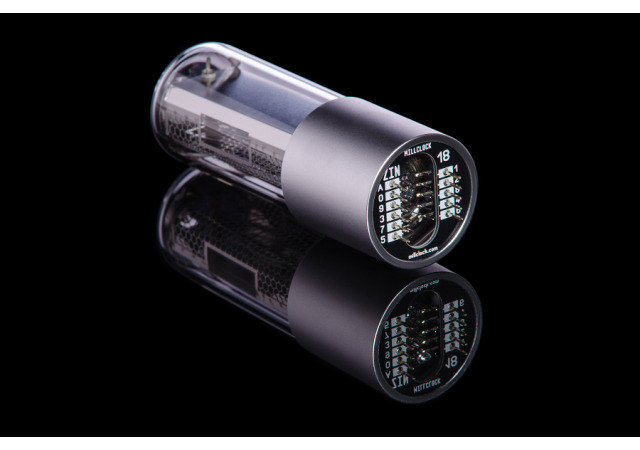 Meet Reborn ZIN18 the new super-compact Nixie tube - is shape of the history in the strong and smart modern body. 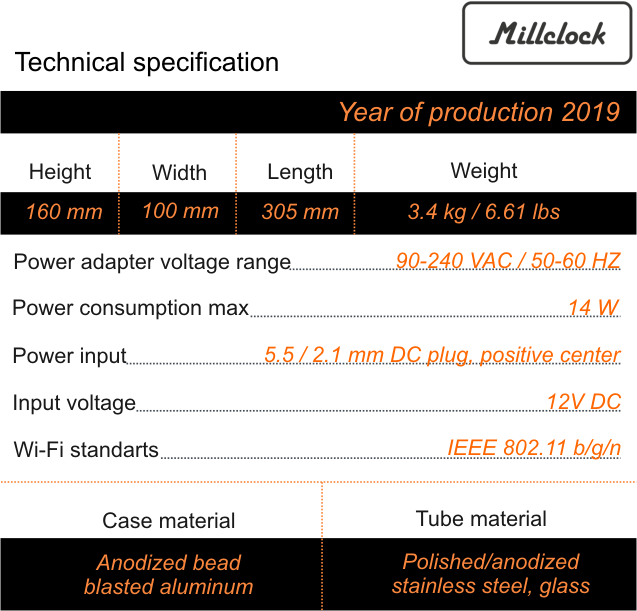 Millclock has designed and manufactured a new variety of Nixie tubes. We intend to set up their mass production for popular use in technical projects. Nowadays, ZIN18 is the most compact and upgraded Nixie tube on the market. Now, the famous Nixie tube’s shape is elongated, neat, strong, and smart. 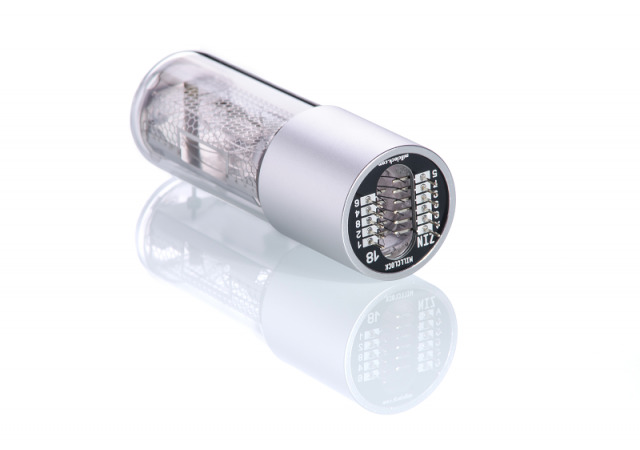 The name “ZIN” is a blend of the Z class and IN class Nixie lamps. It took us profound research and hard work to transform the two classes into one. Conceptually, first we modernized a beautiful base which is used in the Z class tubes. Then, we elongated a small IN18 Nixie tube with digits measuring 44 mm in height., and mounted it in the base. We strengthened the entire piece to create the modern adaptation of the Reborn ZIN18 super-compact Nixie tube using modern equipment. Most of the Nixie tubes that are used in technical projects are taken from the 50-year-old storages. We offer a modern Nixie tube which can be used in a wide variety of different projects, providing a modern more widely available alternative to the older original Nixie tube components which are becoming harder and harder to find. 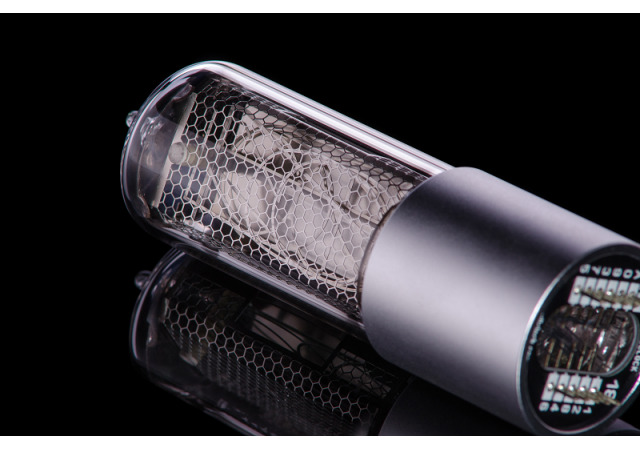 The manufacturing of this beautiful tube is like creating an art piece like mechanical clocks, perfume, or gem jewelry. The process is quite intricate and mesmerizing with all of its milestones elaborated. First, we manually assemble 47 best quality components of the envelope. Then, we form the glass tube and the thread in special machines, and put the whole piece in the “ovens” with temperatures as high as 1,000 degrees °C. Then, we anneal it, infuse mixture of pure gasses, and finally test it on the stand. Such procession results in highly strengthened glass of the tube and leak-free seal at the bottom part of the tube. And those are the two main checkpoints of the tube’s long service lifetime. 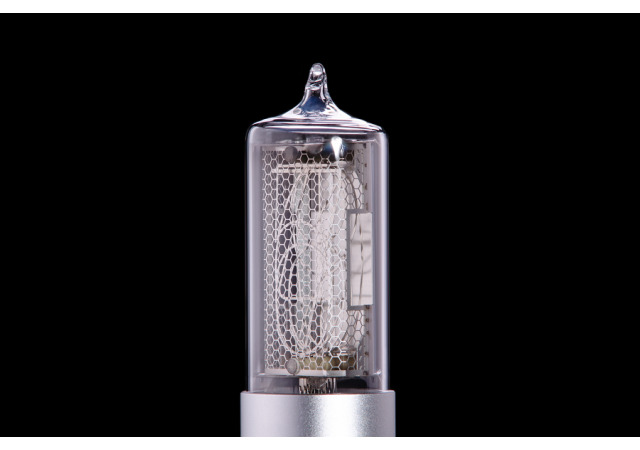 The service life of a Reborn ZIN18 Nixie tube is about 20 years or 200,000 hours of uninterrupted work 24/7. Owing to such manufacturing process and scientific approach, the tubes components can be only worn out due to the aging of its materials. 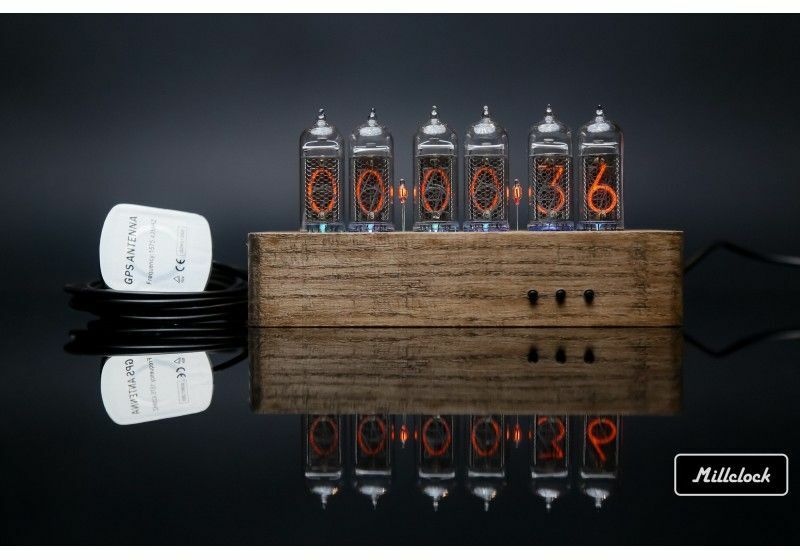 New ZIN18 Reborn Nixie Clock With Six New ZIN18 Tubes! The elongated, neat, smart, and super-compact ZIN18 Nixie tubes found their new place in our ZIN18 Reborn Nixie clock. Can there be a more ostentatious way to express yourself than with this modern and beautiful, multifunctional and easy, historic and cutting-edge time indicating machine? It is an investment and gift for individuals and companies that sure will make an impression. 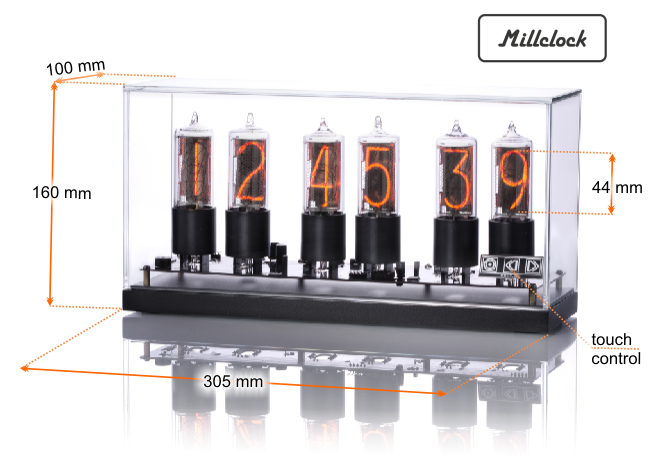 Despite the fact that the nixie tubes are made of steel-glass, they come complete with an additional glass outer casing that not only protects the delicate electronics but also allows the clock to be admired from any angle. 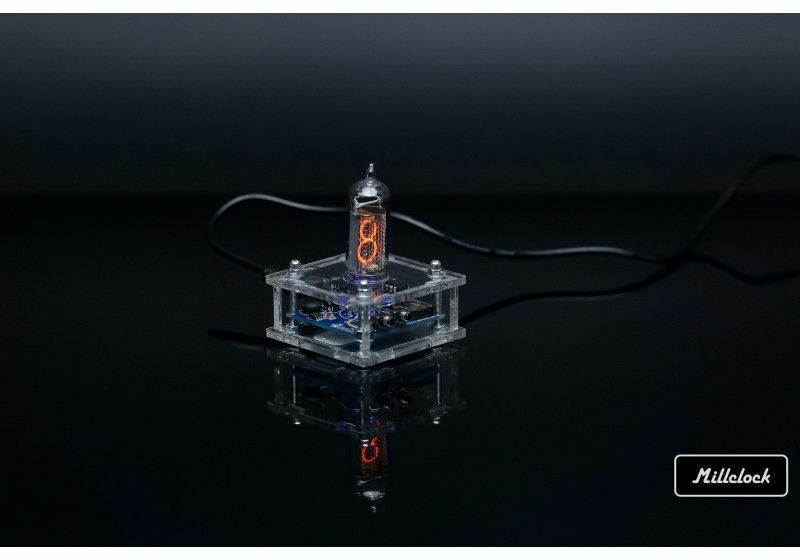 ZIN18 Reborn Nixie clock comes with software and a companion smartphone application that is available for both iOS and Android — allowing users to control the Nixie tubes or clock directly from their smartphone.. The companion application will enable you to tweak the behavior of the clock, and alter visual effects of the Nixie tubes and lighting. In the dark, visual effects are especially expressive, while the clock’s effects look like floating electricity in glass when it’s light. ZIN18 Nixie clock supports censor communication and is fitted with a touchpad. It is located on the front side of the glass casing, allowing you to better view the changes in the clock’s behavior. 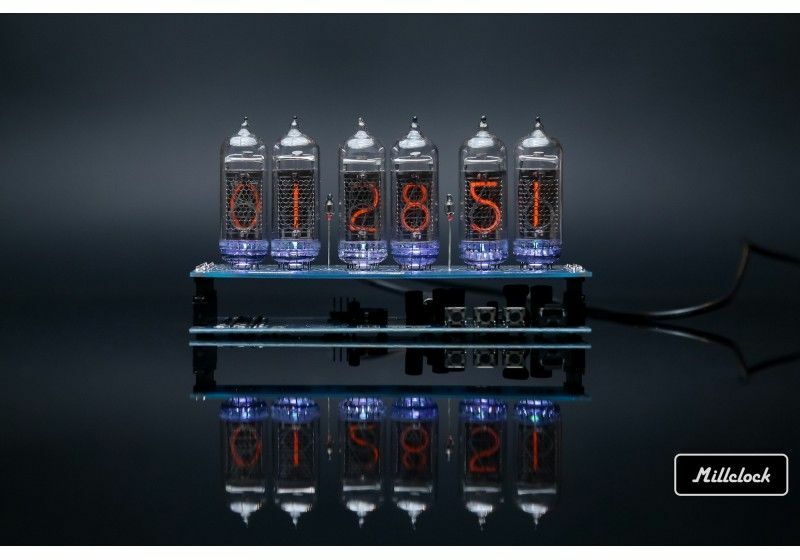 Many happy owners adore setting their Nixie clock and watching it run from a close distance. It is not surprising, as it is absolutely amazing to watch the 6 stalls 10 digits each in a glass case to chase electric current and make an orange glow from discharged gas. This can fascinate the entire family, your colleagues, or clients. Changing the clock’s behavior is possible by supplying little punches of electricity to one of the digits via a small thread that in its turn is connected to the circuit. The ZIN Nixie clock’s software pack encompasses all the functions that are binding for basic functioning of the clock and a vast variety of other features. You are going to enjoy every moment with this clock. It includes a touch pad, mobile application, time synchronization via the Internet, correction of accuracy, alarm, hourly chimes, spectacular cathode anti-poisoning, pre-defined theme modes, summertime auto-switch, as well as the ability to tweak the clocks appearance and setting modes.. The application is very easy and user-friendly. All you need to do is to authorize the device. And it will synchronize the time automatically. 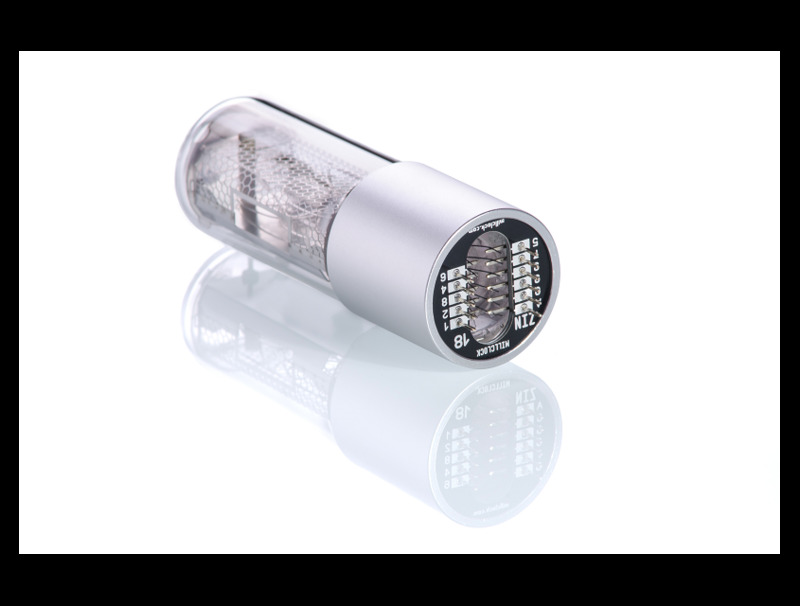 Reborn ZIN18 Nixie tube software is provided free of charge and comes with recommendations from the development team on best practices when tweaking and changing settings. 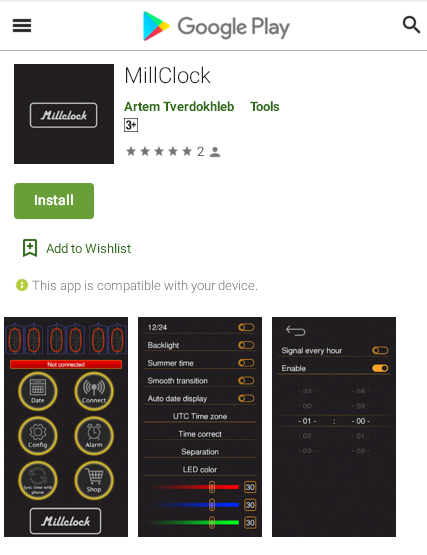 The Millclock team is based in Ukraine and specializes in electronics and information technology. We have hands on devices and appliances that work on Nixie tubes indication technology and create them manually. Three-four Millclockers started from a small Nixie tube clock for the ones, whom they loved. Now, our range includes diverse series of clocks, watches, and thermometers. What makes Millclock really different is the fact that we give our customers an opportunity to choose the set of functions in any of the clock models. Our team brings together talented ninja developers (developer polyglots), technical dreamers, and agitated managers. We admire adventurers and gigs. We cherish self-development and value of synergy. We are committed to popularizing technologies, just like Nixies, that were filtered by time and preserved by people. 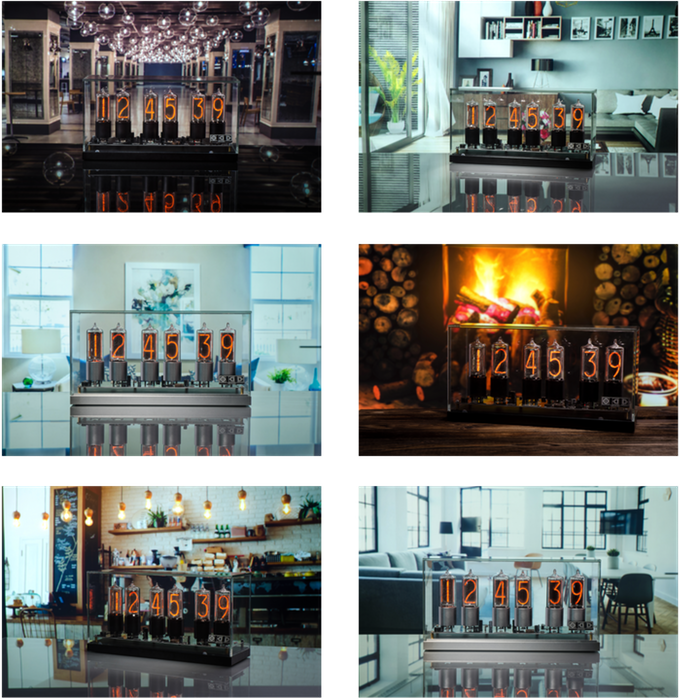 Since there appears a great interest in making Nixie devices, we adhere to modernizing Nixie tubes and making their mass production for general use possible. We modernize obsolete technologies and develop in new directions, such as IoT (internet of things). We always offer discounts, and keep our products accessible. We invite you to join our community and share our affections. We offer a 15-year warranty on the range of Reborn ZIN18 Nixie ltubes and one year on the components in the Nixie tube clock. Also, the clock owners are welcome to refer to our professional Support center any time after the warranty ends. We are always open to communication and will be glad to be of help to our community. We ship orders within one business day. Orders received after 3:00pm EST are shipped the following business day. Any possible exceptions will be noted in the "Availability" section of a tube's description. You will receive email from us if there is a delay, and you will receive an email when your order ships. International: Once we receive your order, we will email you with your shipping options and costs. At that time you can choose what shipping method you prefer or you can cancel the order if you do not wish to proceed. We do not process your credit card for your order until it is ready to ship. We will attempt to email you twice; if no response is received we will attempt to ship using the best method for order size and value. If you wish to cancel your order you must email to request cancellation. Approximate International Air Parcel Post shipping cost for an order of four power tubes and four preamp tubes or for one nixie clock : $22 USD. We will e-mail confirmation of cost and options before shipping the order. For that purpose, please find our contact info.